January 13. Welcome, to this week&apos;s issue. Should you ever want to unsubscribe to this newsletter you can use this link to manage your subscription(s) . This appealing community and Las Vegas neighbor has colorful desert landscapes and snowcapped mountain views. Henderson has the highest ratio of parks and recreation facilities per inhabitant of any city in Nevada. Gray Divorce: A Financial Disaster? Over 650,000 people 50 or over divorced in 2010 - double the rate from 1990. While the emotional toll is always high when couples split, it turns out the financial impact of a gray divorce can be dire too. Older women are especially hard hit. Read more. 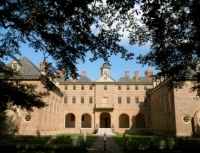 Colonial Williamsburg is a living representation/restoration of the 18th century colonial capital. If you are a history buff and you love antiques, this is the place for you. It is a big area for retirement with many interesting active communities. 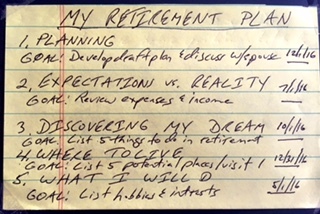 Your Retirement Plan: On a 3 x 5 Card! So many people want to plan their retirement, but don&apos;t because it seems so overwhelming. Enter the 3 x 5 card retirement plan: the basics of what you need to know in less than 100 words. We even have a sample plan you can use! My Social Security Benefit is Taxed?